CLIMBING RELEASE : All Children under 18 require permission to climb. Parent or guardian must sign up at reception or ONLINE by clicking the link below. ADULTS: An adult will need to stay and belay (hold the ropes). We will give you a lesson to get you started. It doesn't cost a thing to help out and is easy to learn. 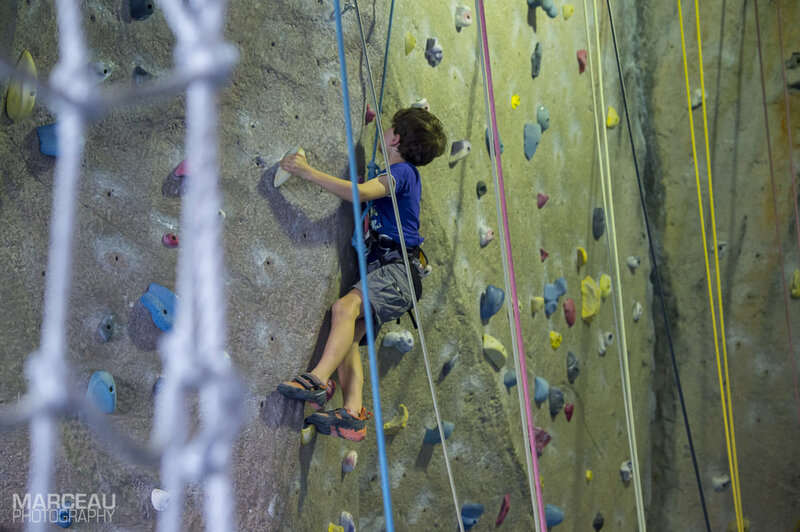 12 YEARS +: We can teach those aged 12 + to belay. This means older kids can climb together without a parent. Please sign your child up now by clicking the button below. BELAYERS can be hired to belay if you are unable to get enough adults to help. We need at least a week notice to arrange belayers - unfortunately we cannot organise this on the day. The rate is $40 per belayer for your 2 hour party. Suited to the mini climbers aged 10 -14years of age. 1 FULL Day of Climbing technique, games, team challenges and knot work. Climb Fit runs a weekly Climbing Programme for Kids aged 10-14 years. On Tuesday or Thursday afternoons. Please put your name down for Term 2 2019. One-on-one lessons can be tailored to suit your child. Speak with one of our coaches today to tailor a training package.